Grand Private Rooms are substantial and furnished with the discerning taste in mind. Each comes with its own large en-suite, as well as individual heating and cooling system for resident comfort. The rooms are equipped with state-of-the-art fully adjustable electric high-low / low-low beds to maximise comfort and safety. In addition to the furniture provided, residents are welcome to fill their personal spaces with items which have personal meaning, such as your favourite artwork. 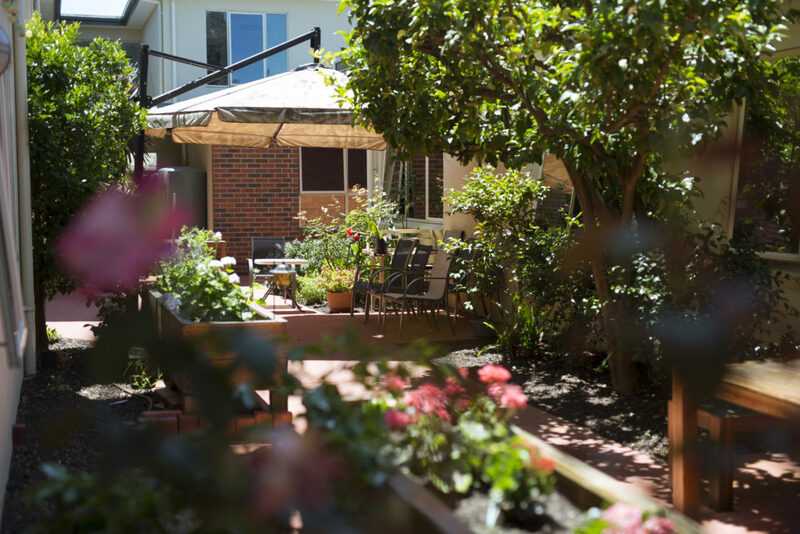 The facility has six comfortable and cosy common areas including the courtyard, dining room, lounge, activities room and library, for all residents to enjoy. Foxtel connected at cost. Newspaper and magazines can also be delivered at the residents cost. “It was a comfort to know when we were not with him, dad always felt your compassion, kindness and care and we thank you for that huge support”. “We were very touched by the caring attitude and compassion given to us during mum’s last days – it was very much appreciated”. Get Specialist Advice and Support now. Dealing with Aged Care can seem daunting. Contact us for your much needed support & guidance, totally obligation free, today. Warm, inviting & modern, with ensuite and individual heating/cooling. Comfortable, private with ensuite plus individual heating/cooling. Create a private oasis with great outlooks, ensuite & individual heating/cooling.